This past month has been a busy one. Liz (Mom) and I traveled to Thailand for the Fellowship of Prayer Strategists and Student Volunteer Movement’s Great Commission Mobilizer Summit. The day we left for Thailand, Liz came down with a bad case of Bronchitis. Traveling for 36 hours with my mom sick was definitely a challenge. Arriving in Thailand, Liz’s and our bag of supplies for the meetings arrived, but my personal bag was left in one of the US airports. We prayed and prepared (and I shopped for a couple of outfits to last me until my bag came) for the Fellowship of Prayer Strategists. Overall, the Fellowship went pretty smooth. Liz could barely speak and so we called on two of our dear friends for help facilitating and getting lunches and breaks prepared. The first day, we spent going over the vision of FPS, the goals of the meetings, getting to know one a nother, and some general information about the prayer strategies. Working groups filled the second day. There were two sets of working groups, the groups were: Listening and Intimacy with God, Houses of Prayer and Linking to Field Teams, PrayerMobilization, and Identificational Repentance & Reconciliation. The third day was filled with reporting back from the working groups, planning action steps, and a commissioning to go out and home. After three straight days of hosting the FPS, Liz and I were pretty exhausted and were scheduled to have prayer ministry with a small team for the SVM2 Great Commission Mobilizer Summit. Liz was also scheduled to share about Focusing Mobilization on the Unreached on the second day of the SVM2 conference. The real kiss from God though came for me after the first day of the Summit. Julio and Noemi (from Argentina living in India) asked me to join the worship team for the Summit. I haven’t led worship or been a part of a worship team since high school, but the Lord knew that I still have a heart to worship Him and He blessed me with these sweet people to worship His name with. He just knows what we need and when we need some refreshing. The last day in Thailand before our 26 hour trip home, I spent with my in-laws (who live in Thailand) and my brother-in-law and his coworker who had attended the Summit. We had a great day going to a Orchid Farm and a knife stand (for a gift for Kirk). It was a splendid time catching up with them and being in their home for a few hours. We made it home without much problems and rested most of the first week. The first week of February, Jubilee (second youngest sister) and her husband were due to have her second child. Liz and I spent most of the week being with her and sweet baby Kadence Elizabeth Burns was born on February 5th at 10:50 pm weighing 7.6 lbs and 20.5 inches long. She is a sweet blessing to the family. Liz (Mom) and I returned late November from our two and a half week trip to India. We visited three different cities for three separate events. The first city we visited, we were able to learn, prayer walk, and hear testimonies from a large church planting movement (some consider this the largest movement in the world currently). We prayer walked to different temples, rode down the Ganges river and saw the evening and morning Hindu rituals, and heard incredible testimonies of how God is working through signs and wonders in this movement. communications. Some new connections and relationships were formed during these meetings. videoed and broadcast into the street (that was full of chairs) and on the second floor that was packed with people. There were a total of around 700 people! After that service, we attended an Assembly of God church’s prayer gathering and Liz and Betsy shared. The next evening, all three of us shared at the AG’s youth service then we took a three hour bus ride to a different town. Sunday morning, Betsy and I shared in the English service for about 45 minutes and Liz and our friend shared in the Telegu service. After that service, we were shuttled back three hours to the airport to begin our long journey home. Thank you for all of your prayer support during our time in India! We felt the presence of the Lord. Personally, I couldn’t have spoken in front of those crowds without the Holy Spirit’s guidance and your prayers. We are preparing for the upcoming Fellowship of Prayer Strategists in Chiang Mai, Thailand from January 16-18 and the SVM2 Great Commission Mobilizer Summit following the FPS from January 19-22. We have about 40 people registered to attend the FPS. I’m handling the logistics for the meeting and Liz is handling the program. We will be sharing about prayer strategies, spend some time listening to the Lord, and planning for future prayer events. During the SVM2conference, we will be managing an onsite prayer team and having 120 opportunities for personal prayer ministry. Liz will also have a one hour speaking session about reaching the unreached. Please join us in praying for these meetings and for God’s glory to be present and active. I’m blessed to have you, my dear friends, as prayer and financial partners in the Lord! Have you ever heard the expression, “You better be ready to jump on the train”? It’s referring to someone about the tackle a big task and they better prepare for it. Right now, I feel like I’m jogging next to the train getting ready to jump on it. Liz (my mom) and I leave next week for two places in Eastern Africa. We are very excited to have this opportunity to minister in two different countries. The first country we are going to be encouraging a team on the ground in their CPM/DMM work and help teach them how to pray for strategically, for their personal work and for global work. The second country we are visiting is to spend a few days with some key African prayer leaders discussing the challenges and the work among Unreached People Groups across Africa. Please pray for these two gatherings to be strategic and helpful for the folks we are gathering with. Also, of course, for health and safety as Mom and I travel into Africa. Our trip is for ten days, then we have about a week before we head to India for two and half weeks. The conferences in India are related to the Global Ephesus vision, which is igniting church planting movements in clusters of people groups that cascade through other people groups similar to their own. We will be meeting with some key leaders from across the world. I’ve been handling a portion of the logistics for this meeting. Please continue to pray for final logistics details to come together, for folks to have safe travels to and from, and for the gatherings to be fruitful for His purposes not our own. May His work be done on earth as it is in Heaven. Please pray for us and for the finances to cover our trips. This previous weekend was Antioch Church’s World Mandate mission conference in Waco, Texas. I had the privilege of attending with my husband and my parents. Incredible worship by AntiochLIVE and great speakers, such as Francis Chan (the author of “Crazy Love”) and David Eubank (the founder of the Free Burma Rangers), truly blessed me throughout the weekend. One of the highlights from the weekend was that we signed up to be prophesied over as a couple. Saturday afternoon at 4 pm, Kirk and I headed over meet with the prayer team assigned to our slot. I won’t lie we were a little nervous since we had never been prophesied over together and it had been awhile since I’d done it by myself even. Oh, but did God meet us there! We entered this Sunday school room assigned to us, and three folks from the Antioch prayer team were waiting. We exchanged names and I pressed record. They had no previous knowledge of who we are or what we do. It was incredible how God was speaking to them for us. I was simply blown away at this beginning of the time of prophecy. At Lifechurch.tv, where we attend in Broken Arrow, OK. Pastor Craig preached a sermon at the beginning of 2014 about having one word from the Lord and a verse from Him for this year. Guess what? My word, that I sensed God giving me, was refresh. And my verse for the year is Proverbs 11:25, “…Whoever refreshes others will be refreshed.” Isn’t God incredible? This man had no idea about my word for 2014 or my verse and God just spoke through him to me about how He hasn’t forgotten what I desire or my dreams. God was saying to my heart that He is fully aware that I am in need of refreshing and that I’ve felt like I have been storing up water behind a wall and am just crying out for Him to release the dam in my life. I desire to drink in Him and have Him flow out to others. He is wonderful. That was only one example in a 20 minute period of being blown away by how God was speaking to Kirk and I. Both of us were extremely encouraged and felt His presence in the room. Sometimes, I find it easier to be spoken over then spoken to? Does anyone understand what I mean? Hearing God for my own life is difficult, but hearing God for others or situations seems so easy. I desire for Him to be speaking in my ear daily, hourly, minutely directing my steps and my choices. How great is our God for He desires the same connection with me? I’m reminded today of how good our God is at connecting the dots. He knows the path on which we should walk and which steps we take that will be towards His will or towards our own. My sister-in-law and niece and nephew have been visiting these last couple weeks. My niece is four and is learning how to write the A,B, C’s. Today, I was folding laundry and listening to my sister-in-law tell my niece that to draw a capital A, you have to connect the dots in order. As she draws a line from one dot to the next, I was reminded how every choice we make or choice we don’t make leads us down a different path. I don’t think there are wrong paths, just maybe easier ones. My mom once felt God telling her that if we stayed where we were living and not move to where He had called then we would be taking a more difficult path. I like to think He delights in our free will. He gave us free will so we could lovingly choose Him. When we choose a more difficult path, we can still honor and love Him through the choices we make on that path. Somehow, He makes the dots line up and make something beautiful from our lives. These last couple of weeks, I have been working on logistical information for the upcoming Unreached People Prayer Gathering in Africa, the Ephesus gathering in India and the Fellowship of Prayer Strategists in Thailand. We, Liz and I, are going to be visiting some friends from the Arab Ephesus Team in Egypt to prayer walk and discuss better ways to reach the people of the Delta through different prayer strategies. Maybe even developing a personalized prayer strategy for Egypt. Please be praying along side us as we start working on what resources to share and how to better equip the people of Egypt to reach the unreached in their home country. The second half of our Africa trip will be in Nigeria. With the threat of the Ebola virus so high in Nigeria, we are praying that Christ continues to keep a wall of protection around that nation from this heart-wrenching disease. More than one thousand Africans have died across Lagos, Liberia, and more of central and west Africa. My heart is burdened for those struggling with this disease and my prayer is that Christ’s healing would be so evident among those sick that many would come to know Him through being set free and healed during this outbreak. Our meeting is a vital part of gathering together prayer leaders from all of Africa and teaching them how to better join hands to prayer and reach the unreached people groups across Africa together. The Indian logistics are going fairly smoothly. I created a registration form and sent that out to the Ephesus teams, along with information regarding Indian visas. We still do not have confirmed venues in India but we are believing that our Indian hosts will be contacting us shortly to confirm the details. We trust and obey that Christ is working and moving before we come into the land of India. We want to follow His leading and direction. Please continue to pray for these logistics to be sorted and smoothed out. We, Liz and I, ask for your continued prayers and support. We bought our tickets for these two Africa trips today and it was around $3500 for the two of us. Our tickets for India were also around $3500 so with ground costs close to $4000. Taking the step of faith with our finances, we are believing that the Lord will provide in His timing for His glory. Time flies in a busy household. It’s been about six weeks since my last update and so much has happened in our ministry and our personal lives. Let me update firstly on personal matters. Kirk finished his internship with Rausch Coleman Homes. After a two week break, Kirk was officially hired on for full-time work until he starts school again on August 27. Kirk will continue working part-time for Rausch during this last light semester before graduating in December. To celebrate and relax, Kirk and I went down to Galveston, Texas for a long weekend. We laid on the beach, walked the long Seawall Boardwalk, visited the Kemah Boardwalk, and kayaked among other things. It was a wonderful time of reconnecting and relaxing together. I have been moving forward with projects that came out of our Ephesus team retreat that took place at the end of June. Our team member and dear friend, Barbara, and Liz and I have been praying and seeking the Lord about a gathering in Kenya during the month of October for the purpose of fellowshiping together with Africans from all over the continent of Africa to pray and cast vision for praying for the unreached people groups in Africa. 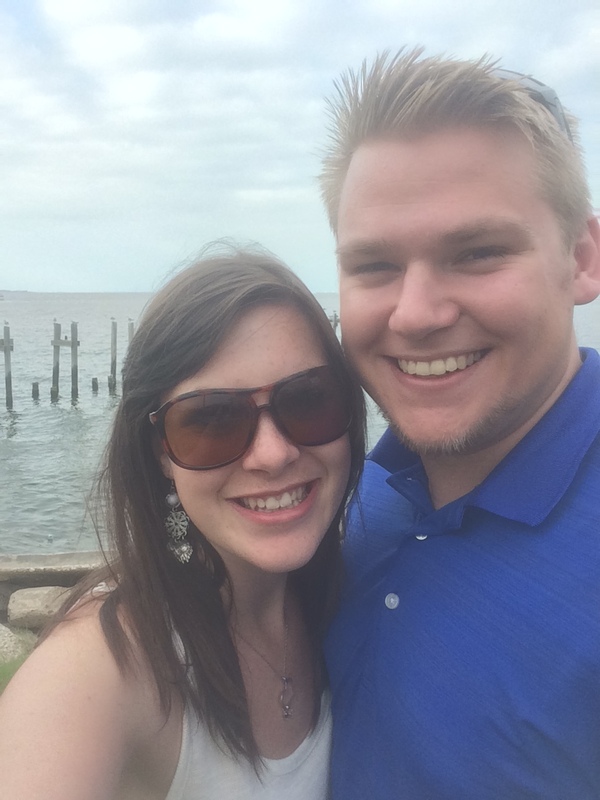 I would like to ask you to pray and consider donating to Liz and I as we prayerfully seek the Lord for funds for our airline tickets and on the ground costs. The flights alone will be near $1200 a piece – totaling for Liz and I about $3000 with ground costs. Our global Ephesus team meeting, taking place in two different cities in India during the middle part of November, will be a fellowship of members from each of the twelve regional Ephesus teams. We will pray, strategize, and share stories and testimonies together during this two part meeting. I have been tasked to help with the logistics for the second half of the meetings when we switch cities. These logistics will be helping about 40-60 people come from all over to world to this city to gather together. I’m slowly working out the final details before we send out the registrations forms. We also have the opportunity to visit a third city at the end of this trip to personally minister and pray for local workers and believers. These flights came out to be about $1400 each – totaling about $4000 with ground costs and visas. We are believing that the Lord will provide to cover these flights and ground costs. Thank you for your continuing prayer and support moving forward with this opportunity to serve the Lord in both Africa and India this fall. I’m excited to be traveling back to India for the first time since I was 8 or 9 years old. God has such a wonderful sense of timing and has blessed me beyond compare to be able to serve Him overseas. Sometimes I look at life and I wonder if it will ever slow down or just keeping speeding up? I can remember even ten years ago when time seemed to go slower, but now everything is fast paced and sped up. One of my biggest challenges is being tired. I love to sleep. It’s a known fact in my family that I could take a three hour nap and still sleep for ten to twelve hours that night. Maybe if I had more of those naps then I would be more rested. Interestingly, one of the challenges my church, LifeChurch.tv, gave to our congregational was to come up with one word to describe what kind of year we wanted or needed according to how we felt God leading us. This was around New Years and instead of a long list of what we are changing, Pastor Craig just said to have one word to focus on. The word I felt God was impressing on me was refresh or a time of refreshment. Proverbs 11:25 says, “A generous person will prosper; whoever refres hes others will be refreshed.” These last few years have been really hard for my family, especially my parents. I didn’t know exactly what God had in store for me when I left the ENT clinic last April but this last year has been overwhelming and exhausting. God knew that I would need to be in a position to refresh my parents while working alongside them and in helping to refresh their souls, I in turn would be refreshed. We are still praying for an outpouring of the Holy Spirit in our lives. Some days are better than others but God never fails and He won’t start now. Please continue to pray for us as we walk this road of doctors appointments and tests followed by a short spurt of missions involvement. We thoroughly enjoyed our team retreat near Waco, Texas two weeks ago. Everyone on the team felt a monumental shift in our goals and purposes realigning as a team under one Father and one mission. We made a few new connections and enjoyed walking around the ranch’s property during breaks. We were able to discuss and challenge each other in some working groups to help benefit the Ethne vision and the Ephesus teams as a whole. Coming away with quite a few action steps, I think all of us were overall very happy with the progress we made. Please continue to pray as we follow up on steps to better improve our team and supporting the regional Ephesus teams. This week we have our Global Ephesus Team retreat down near Waco, Texas. Tom, Liz, and I leave tomorrow to drive down. Our goals with the team this week are to connect and build relationships with each other, assess the situation with the regional Ephesus teams, and look forward to what we need to accomplish in the future. Before we head to the retreat, we are working on sending an update to our donors regarding the move to Modern Day. We are excited about this transition. Also, we are gathering resources and other documents together to take to the retreat so that we can present our current projects to the team and get feedback. One resource we are taking is the Fellowship of Prayer Strategist brochure explaining more about the goals and background of FPS. I finished creating this resource last week. Liz and I are wrapping up things around the house today and getting her new work blog set up. You can visit her blog at lizadleta.wordpress.com and see what the latest is with her work. So, please be praying alongside us for a fun and productive retreat with our dear friends and colleagues. God is continuing to attach the right pieces to this big puzzle of our team. I love Dr. Pepper and Lemon Pepper. 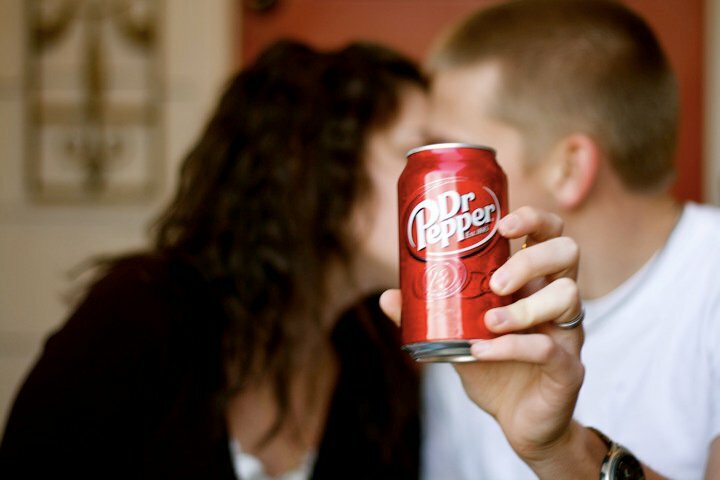 I’m pretty sure that Dr. Pepper runs in my blood in fact. 2010 Christmas was the first time that I got to celebrate Jesus’s birth with my future parents-in-law. aunt and uncle and cousin of my now husband. As we began to open gifts, I was a little nervous because I had no idea what to expect. I started to open my gift and I pulled out a t-shirt that had a black pepper holder wear a stethoscope… Dr. Pepper. 🙂 Those dear folks had accepted that I would never love salads or vegetables as much as I love Dr. Pepper, when I opened that hilarious t-shirt I knew that they had accepted who I am. After our recent move to Tulsa in March, I am closely monitoring my elderly father, Tom, through his many health troubles. Right now, I am acting as his personal caregiver with my background of Medical Assisting. He has a long history of heart disease and we are currently establishing new doctors here in Tulsa. He is scheduled for Cataract surgery in August. Please pray for continued health for Tom amongst the ensue of new doctors. Kirk and I celebrated our two year wedding anniversary on May 6. Although I was in Dubai on the actual date, we celebrated together when I returned. God has truly blessed me with a husband who is patient, encouraging, and seeking the Lord for himself. 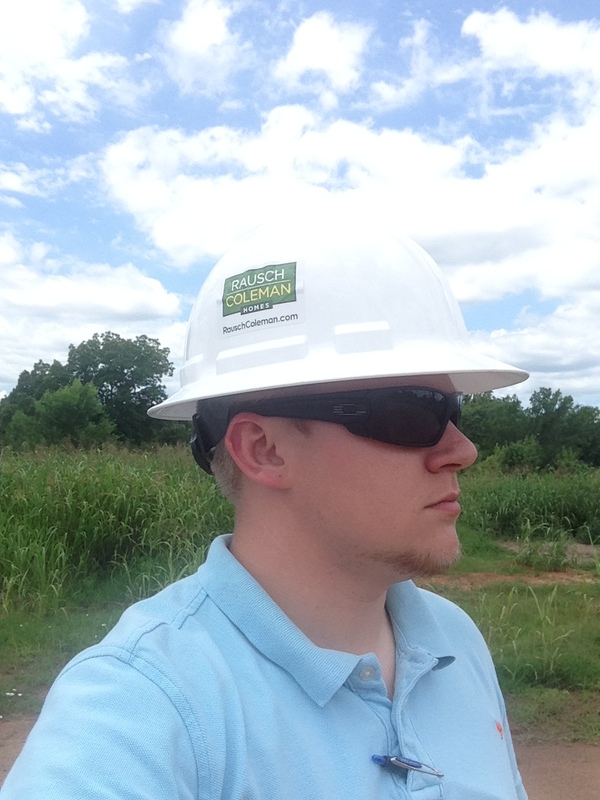 Kirk began a summer internship with Rausch Coleman Construction about one month ago. He is busy shadowing a field manager of two housing developments and is enjoying being on the side of management instead of swinging a hammer. We are praying for Kirk to potentially be hired on with Rausch Coleman at the end of his ten week internship and continue part time in his last semester at John Brown University this fall before graduating. Last week, I completed the invitation for the Fellowship of Prayer Strategists that will gather in January 2015 in Chiang Mai, Thailand. We sent out those invitations last week and are praying that the Lord brings the most strategic groups of people to that gathering. I am currently working on designing a brochure for the Fellowship of Prayer Strategists. This brochure will include the 12 spheres of prayer and a little information about Ethnê and the Ephesus teams. I’m definitely not the most creative person when it comes to design but I love to put down the information and get it out so people can better understand what it is the FPS is and does. Also, I’m working on completing a newsletter to send out once a quarter. If you’re interested in receiving my newsletter, please comment and I’ll get you set up. Thank you for your continuing support and prayer! I was recently accepted to be a Modern Day field missionary (http://www.modernday.org/field-workers/honour-fraiser/). As a field missionary, I’m feeling the Lord calling me to start friend raising and writing updates on personal and ministry information. God has been so good to me and I want to share the joy of my life with my friends and family as I take this next step becoming more involved in missions. I currently am a team member of the Ethnê Ephesus Global Team. Ethnê is a multi-organizational and multi-denominational global network serving the 28% of the world’s peoples without access to the good news of Jesus. Ethnê’s workgroups seek to accelerate movements to Christ through: Information Strategies, Prayer, Holistic Gospel Movements, Frontier Crisis Response, Training and Mobilization, Ethno-Arts, Youth and Younger Leaders. Joshua Project (http://joshuaproject.net/) collects research about all the people groups in the world; highlighting the Forgotten Fourth that has less than 2% Evangelical Believers–too few to evangelize their own group without outside assistance. The Ephesus teams were formed as an outgrowth of Ethnê to cooperatively catalyze movements to Christ closing the gaps among whole families of neglected people groups such that the resulting movements cascade throughout the entire family of groups in their region and beyond. Also, I’m helping to facilitate the Fellowship of Prayer Strategists, a forum of relationships between those serving these teams with a view to the development of prayer as a fundamental part of the strategy. Believing prayer is the indispensable key to the unfinished task, we model and assist others in cultivating conversational relationships with God. Every joint supplies as we partner in prayer and action toward this goal. Prayer as ministry sustains workers engaged intensely in these pioneer efforts. Prayer walking and prayer journeys claim ground and release authority of the kingdom of God. Indentificational repentance and reconciliation removes barriers of offense hindering the progress of the gospel. Warfare worship breaks through strongholds. Houses of prayer and 24/7 prayer establish spiritual beachheads and raise the spiritual waterline. Prayer itself is strategy as we together listen to God and download His divine strategies to close these gaps in the harvest. I completed the Strength’s Finder test and my top five personality strengths were 1) Arranger, 2) Achiever, 3) Responsibility, 4) Consistency, and 5) Empathy. These traits are honestly pretty accurate and I believe that God is using my gifts to help fit the pieces of the puzzle together on the mission field. I help serve on the Ephesus Global Team by improving communication, networking with folks from different regions and linking like-minded people together. I help identify and provide prayer and other resources as needed to strengthen the team’s efforts. From time to time, I participate with the teams in strategy development and help follow up on the action steps determined by the team after the meeting times. I love being able to watch as God brings pieces of His puzzle to connect; it’s a privilege to be part of that process. My recent trip to Dubai is a great example of the kind of work I do: The first day of our time there included sitting in the last day of a Level 2 church planting movement/disciple-making movement training. We were able to be part of listening to God together and it was amazing to see how everyone was hearing the same basic message from Him together for the peoples of focus and the work. Next the group worked to identify the greatest barriers to seeing the kingdom of God coming among these peoples–lack of prayer, lack of vision, fear, and lack of the power of God at work were the top 4 factors identified. We went to work in smaller groups to seek God and discuss what we could do to address these challenges together as a group. As part of the prayer workgroup, we identified two or three concrete action steps we could take. It included starting a prayer and fasting day each month on the first for one another and the peoples of this sphere. We found that we had resources which could help and were quick to get those shared as soon as we returned home. We were excited to hear that our efforts to help facilitate the Global Prayer Digest (http://www.globalprayerdigest.org/) April 2014 issue on Global Cities and Unreached Peoples had already born some fruit. We heard the testimony from a field worker that since they knew Dubai was a city listed that the team decided to go out and minister. One team went to a hospital and in the first room they entered and prayed for, the patient saw an open vision of Jesus and was completely healed. He was a Muslim and immediately wanted to accept Jesus into his heart. The second hospital room the team entered, as they prayed for the Muslim patient, he saw an open vision of Jesus and felt fire all over his body and was healed. He, also, wanted to accept Jesus into his heart. Praise the Lord for teams believing in the power of prayer and believing Jesus to be our Healer. Next week, I’ll be part of the Global Ephesus Team’s retreat with 30 others in Central Texas. I may be young, but I’m already feeling I can contribute something significant to the efforts of world evangelization. My husband and I hope to eventually be based overseas once he finishes his degree in construction management–a great field as a missionary platform in many nations. In fact, we were already being recruited to join a new team that had just landed in the Arab Peninsula. Please be praying that God directs our steps as we continue to seek to serve starting right where we are now. Your prayers and financial support help launch us out in His service, for which we thank you!